Lavender Green Flowers (LGF) recently provided exquisite floral arrangements and décor for Banqueting House and the Tower of London. Photography was provided by Two by Two. 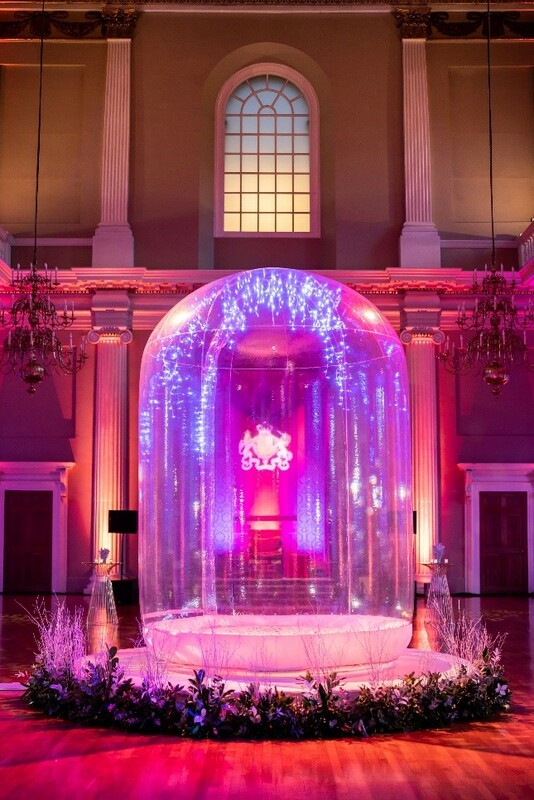 For "Dinner in the Den" at Banqueting House, LGF showcased The Undercroft as a dining space with the help of Food Show and Vibration Group, by dressing a long table with a central garden of white, cascading spring flowers. Upstairs, the florist installed floating white trees in wooden frames surrounded by a sea of candles and all-white décor to give the event a wintery feel. On the evening, an enchanted dome in the centre of the room played host to live entertainment. At the Tower of London, LGF was the florist of choice for the "Menagerie at The Tower" event, and showcased the story of the Tower being home to exotic animals that used to live within the grounds. Working closely with both Event Concept and Urban Caprice, LGF solely used carefully sourced plants and props rather than flowers. Guests were greeted by an archway leading up to the staircase which was dripping with lanterns and tall pear branches covered in moss, air plants and palms. They then made their way through a curtain of foliage before entering the event itself. 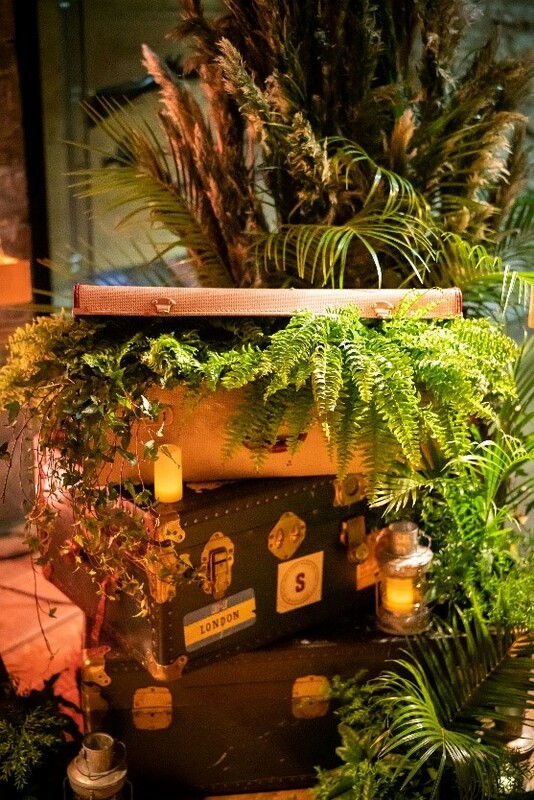 The room was decorated with vintage luggage trunks and leopard print troughs filled with ferns and other exotic plants, helping to create a glamorous jungle feel and the perfect party atmosphere.